This week was just great! I learned so much and feel like I've really grown a lot. First of all, Robbie (or Elder Hadfield, I guess) is in my zone and branch!!! His room is just a couple rooms down from mine. 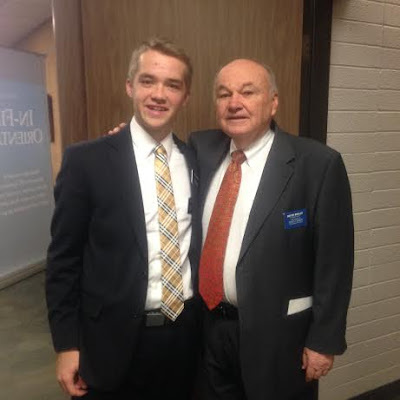 His companion is Elder Castellano from Italy, and he's super cool as well. Me and my companion and he and his companion get along super well, so we've been doing stuff together when we can. Also, they're the new zone leaders for our zone after we leave, so that's pretty cool. Funny experience, on Tuesday we had devotional, but there was choir practice before, so we did some splits so that the people who wanted to go could go. My companion and I made a trio with another elder from our district, Elder Jaramillo. We had to split up when we got to practice because we were different voice parts. After devotional, Elder Fajardo and I went to find Elder Jaramillo, but we couldn't find him, even after looking in our dorm, and in the gym, and in the main building, and in our classroom. Nowhere. 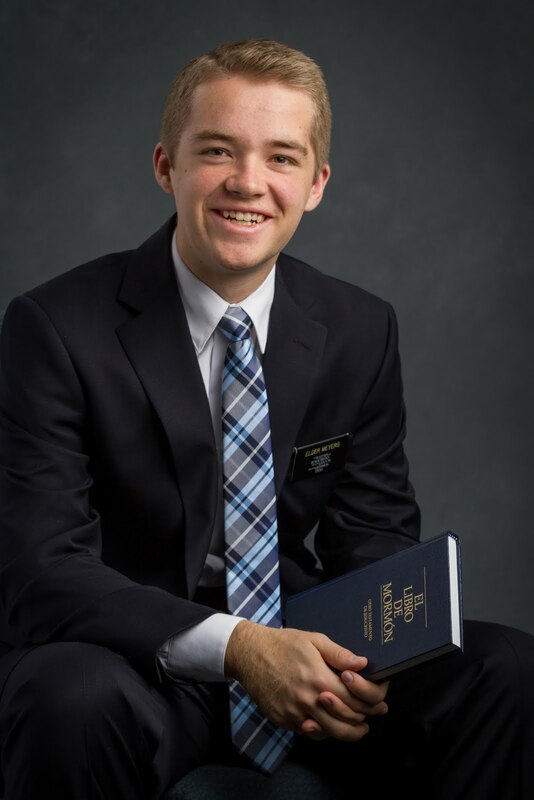 We ended up not being able to find him and called security, and they said they went through the security camera footage and that he had gotten in a car and left the MTC. So we were super sad and stressed. But it turns out, he had just thought we were meeting back at our dorm, and was in the little gathering room because he had forgot his key, and then had fallen asleep for almost three hours. So we have no idea who the person in the car was. Anyways, so it actually wasn't very funny in the moment, but we laugh about it now, and Elder Jaramillo was a little embarrassed, but we're all good now. Also, during in-field orientation, Grandpa Woolley came and visited me with Sister Burgess (the MTC President's wife), so that was super awesome. It was good to see him and get a hug from some family. I don't know, it's weird, ever since I got to the MTC, it seems like my whole life beforehand was just a dream, and me and my companion are always like, did we even exist before our missions? It's almost like we passed through the veil from the premortal life. Anyways, it was good to see Grandpa and remember that my family actually does exist. So my district found out about my song on lds.org... and then told my whole district, and then every time we do anything in our classroom they get on the classroom computer and turn on my song. It's kind of embarrassing, but I guess it's good because I'm helping people feel the Spirit and that was the purpose of the song. Hopefully they can take it and help people in their missions to feel the Spirit as well. Sister Wyson from my district, as well as Elder Moreno, who was one of my zone leaders and good friends, who were both going to Quito Ecuador, didn't get their visas in time, so they've been reassigned to Las Vegas West Mission with the Ahlanders!! I'm super excited for them and have told them all about the Ahlanders. Maybe mom and dad you could email them and let them know that they're coming just for fun. Yesterday I sang a solo in devotional! It went really well, and I felt like my testimony grew as I testified of the Savior and His life. I'm really grateful for the blessing of music and the way that it can lift and inspire people. I'm really going to miss my district. They've become family to me. But I know that they'll all do great in their missions. And the elders I'll still see in my mission. I'm also so grateful for my teachers Hno. Wortham and Hna. Anderson. They completely changed me and helped me to grow in so so many ways. I will always be grateful for them and what they've taught me. I know that this is the work of God and I can't wait to go serve the people in Argentina! This is some of my district, and then Elder Moreno holding the watch (one of the ZLs), and then Elder Ruiz right next to him, who's going to the Orem mission! Look for him. We were having a party because it was 16:16, 1/6/16. This is some of my district in front of the mountains.